Each spring, Dwell hits the ground running to scout furniture, lighting, and accessories during the design industry's biggest fair, Salone Internazionale del Mobile. Here are just a few of the pieces we love for 2013. 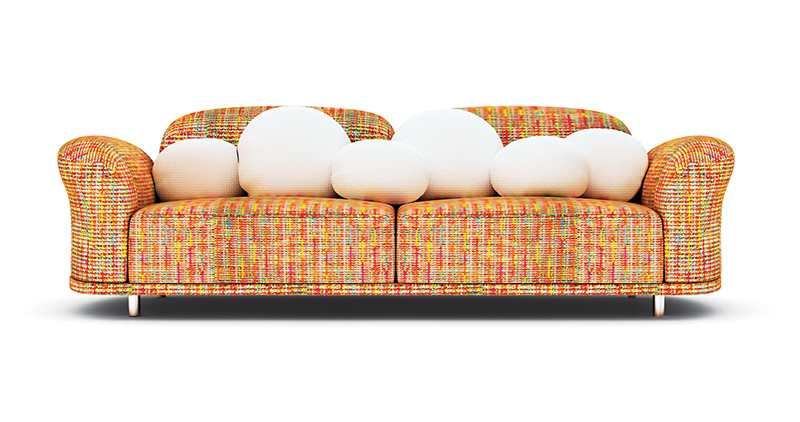 Cloud sofa by Marcel Wanders for Moooi. Orient lamp by Jo Hammerborg at Lightyears. Map Tapestries by Hannah Waldron for Konstfack at Spazio Rossana Orlandi. Stone Edge tables by Nendo for Caesarstone. Shibuya vases by Christophe Pillet for Kartell. Mangas collection by Patricia Urquiola for Gan. Kelly chair by Claesson Koivisto Rune for Tacchini.